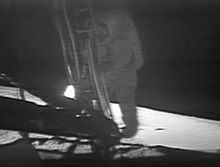 "One small step for a man, one giant leap for mankind," stated Astronaut Neil Armstrong, JULY 20, 1969, as he became the f irst man to walk on the moon, almost 238,900 miles away from the Earth. 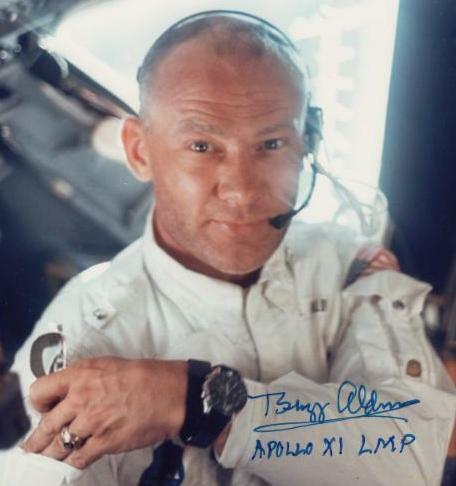 The second man on the moon was Colonel Buzz Aldrin. 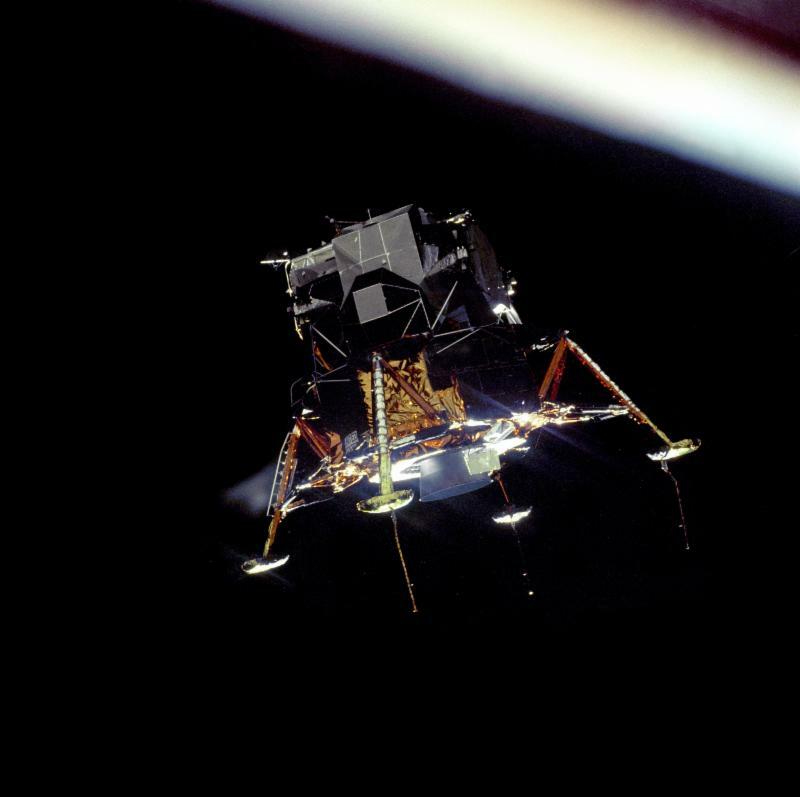 Neil Armstrong and Buzz Aldrin spent a total of 21 hours and 37 minutes on the moon's surface before redocking their lunar module Eagle with the command ship Columbia, which was orbiting 57 miles above the Moon's surface. 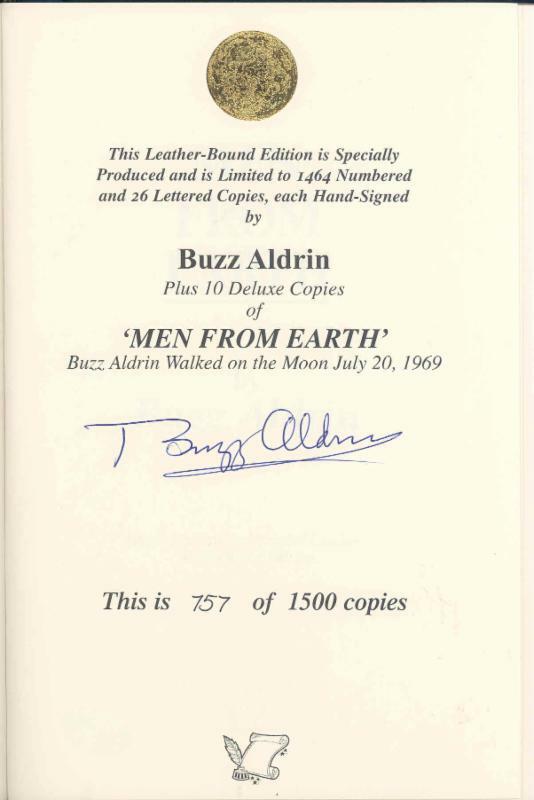 Buzz Aldrin earned a Ph.D. from M.I.T. 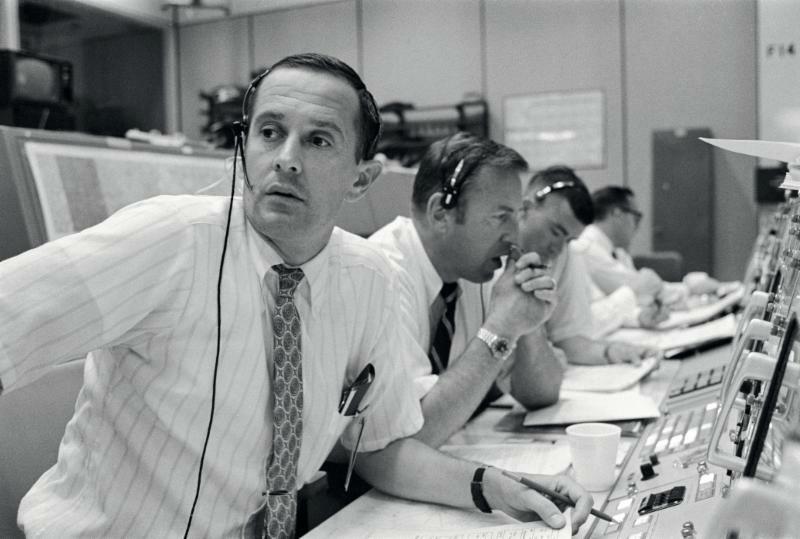 and helped develop the technology necessary for the mission, especially the complicated lunar module rendezvous with the command module. 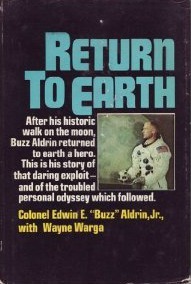 Buzz Aldrin shared a story, "An Astronaut Tells of a little-known but Significant Event on the Moon," printed in Guideposts Magazine, October 1970), and in his book, Return to Earth, published by Random House, 1973. 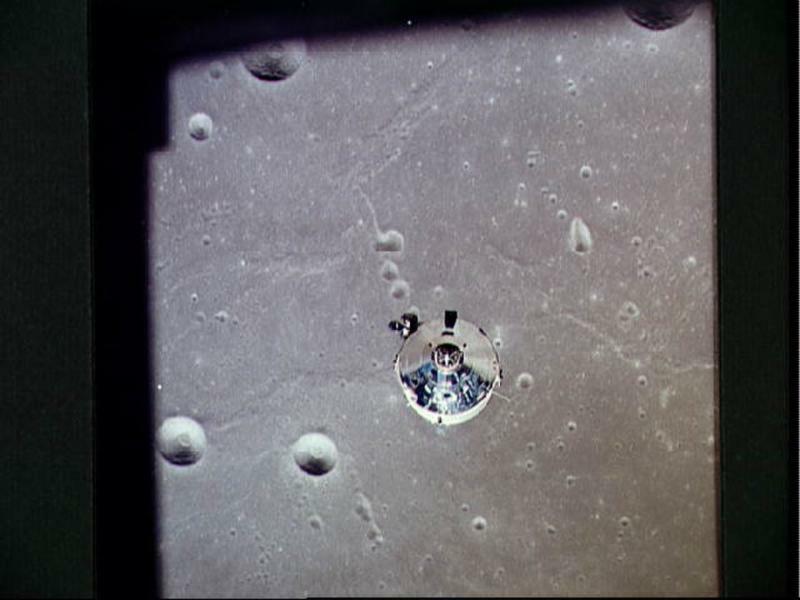 Before the two astronauts stepped out of the Lunar Module onto the moon's surface, there was a planned time of rest. 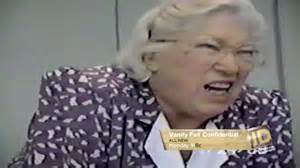 Buzz Aldrin asked for radio silence because NASA was fighting a lawsuit brought by an intolerant atheist, Madalyn Murray O'Hair. 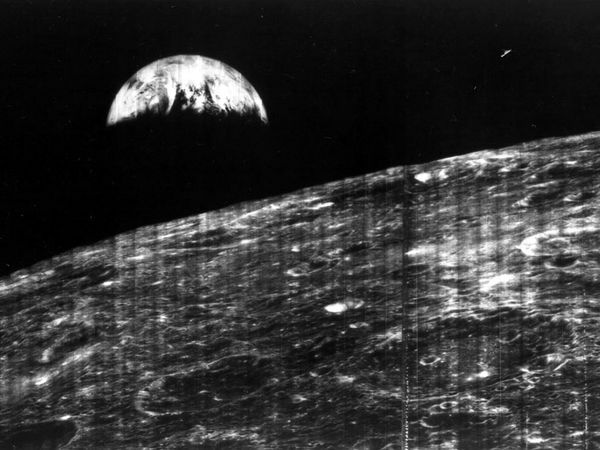 She objected to the previous Apollo 8 crew reading the first chapter of the Book of Genesis in their Christmas radio transmission in 1968. 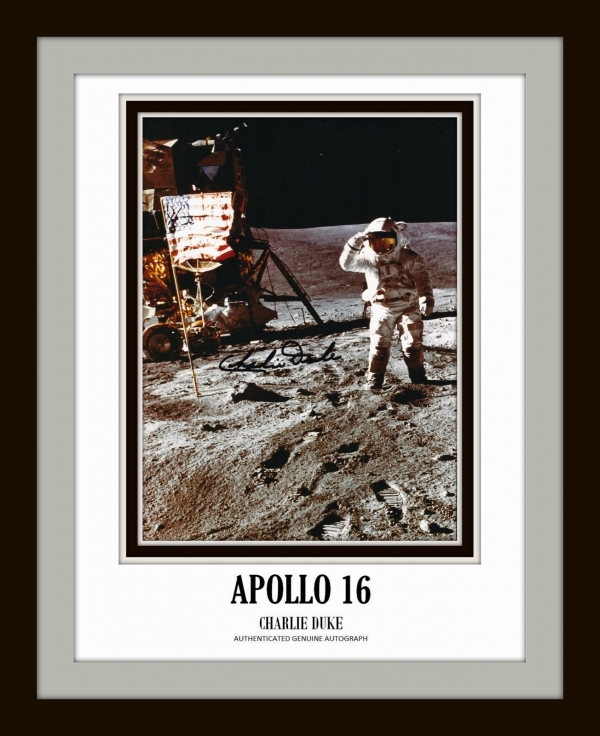 "For several weeks prior to the scheduled lift-off of Apollo 11 back in July, 1969, the pastor of our church, Dean Woodruff, and I had been struggling to find the right symbol for the first lunar landing. 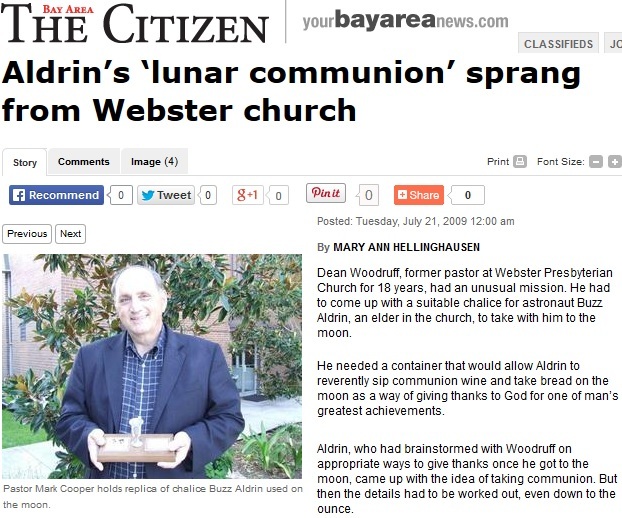 ... Dean often speaks at our church, Webster Presbyterian, just outside of Houston, about the many meanings of the communion service. 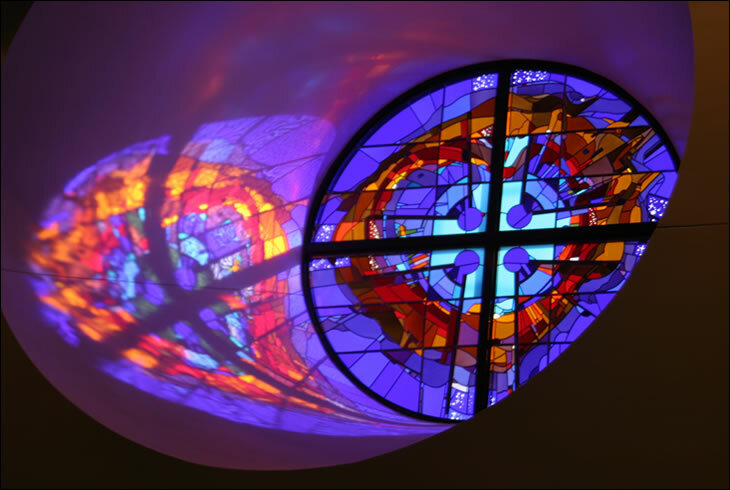 'One of the principal symbols,' Dean says, 'is that God reveals Himself in the common elements of everyday life.' Traditionally, these elements are bread and wine-common foods in Bible days and typical products of man's labor. 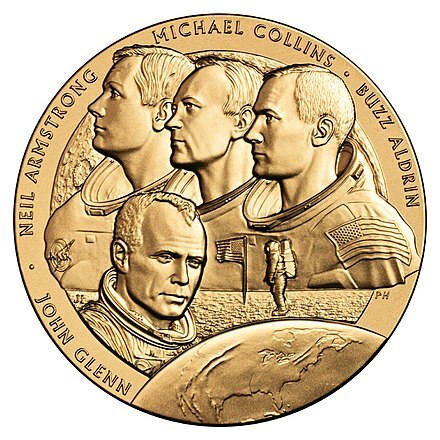 For there are many of us in the NASA program who do trust that what we are doing is part of God's eternal plan for man." 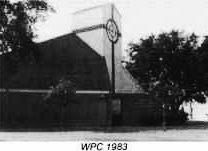 Webster Presbyterian Church is located at 201 W. NASA Road 1, Webster, Texas, and is known nationally as the Church of the Astronauts as John Glenn, Buzz Aldrin, Jerry Carr, Charlie Bassett, and Roger Chaffee were active members during their time at NASA. 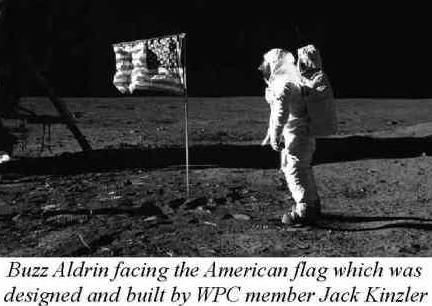 The flag Buzz Aldrin left on the Moon was designed and built by a member of Webster Presbyterian Church, Jack Kinzler. "I spoke with Dean about the idea as soon as I returned home, and he was enthusiastic. 'I could carry the bread in a plastic packet, the way regular inflight food is wrapped. 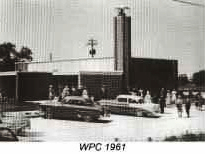 ... Dean made special plans for two special communion services at Webster Presbyterian Church. 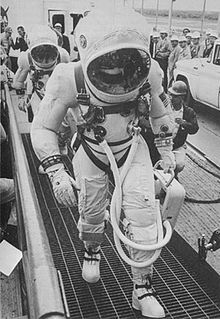 One would be held just prior to my leaving Houston for Cape Kennedy, when I would join the other members in a dedication service. 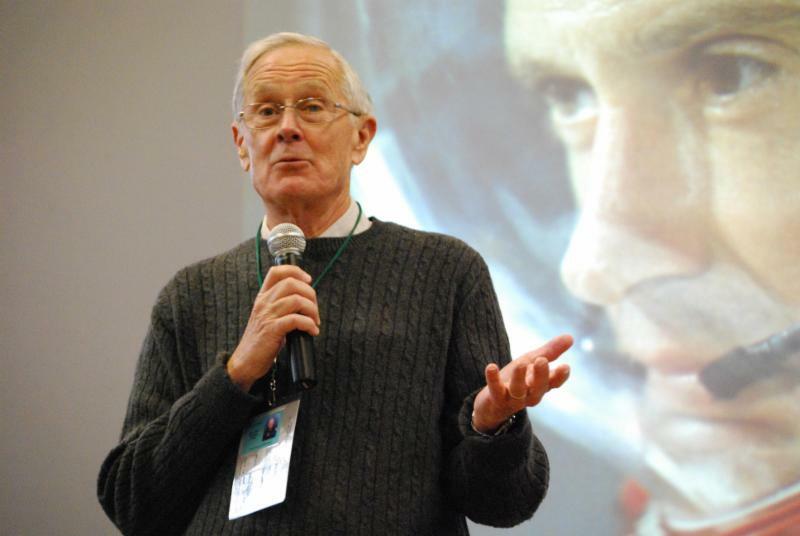 On that Sunday the church back home would gather for communion, while I joined them as close as possible to the same hour, taking communion inside the lunar module, all of us meaning to represent in this small way not only our local church but the Church as a whole." 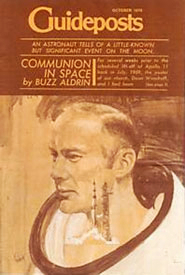 The Houston Chronicle and the Huffington Post have published articles about Buzz Aldrin's communion on the moon. "Right away question came up. Was it theologically correct for a layman to serve himself communion under these circumstances? Dean thought so, but to make sure he decided to write the stated clerk of the Presbyterian church's General Assembly and got back a quick reply that this was permissible. It seemed to fit perfectly. 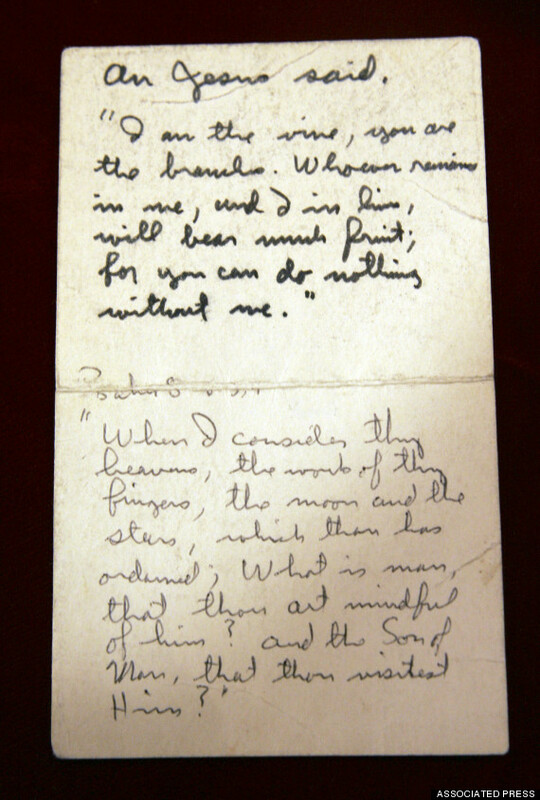 I wrote the passage on a slip of paper to be carried aboard Eagle along with the communion elements. Dean would read the same passage at the full congregation service held back home that same day." "So at last we were set. And then trouble appeared. It was Saturday, just prior to the first of the two communion services. We had to wear sterile masks and to talk to the reporters from within a special partition. The doctor was taking no chances. A cold germ, a flu virus, and the whole shot might have to be aborted. I felt I had to tell him about the big church service scheduled for the next morning. When I did, he wasn't at all happy. It was a possibility. I called the doctor about the smaller service and he agreed, provided there were only a handful of people present." 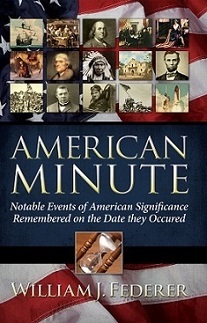 "So the next day, Sunday, shortly after the end of the 11 o'clock service my wife, Joan and our oldest boy Mike (the only one of our three children who is as yet a communicant), went to the church. There we met Dean, his wife, Floy, and our close family friend Tom Manison, elder of the church and his wife. ... What happened there, of course, the whole world knows. 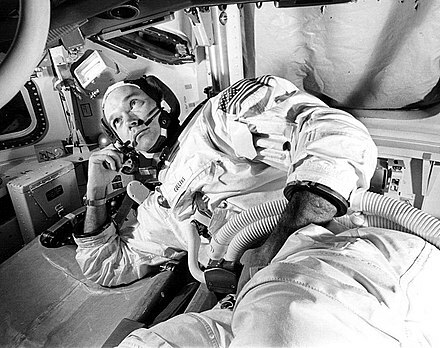 ... Neil and I separated from Mike Collins in the command module. Our powered descent was right on schedule, and perfect except for one unforeseeable difficulty. The automatic guidance system would have taken Eagle to an area with huge boulders. 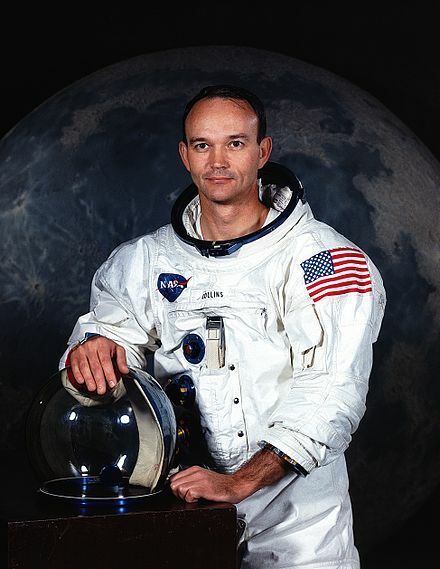 ... Now Neil and I were sitting inside Eagle, while Mike circled in lunar orbit unseen in the black sky above us." 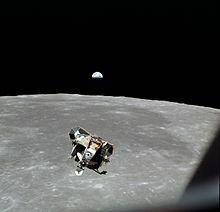 Mike Collins took the photo of the Eagle separating from the command module Columbia, and drifting down toward the Moon. 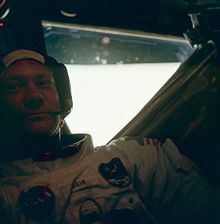 Should the engine fail to ignite, Armstrong and Aldrin would be stranded on the Moon - where they would die when their oxygen ran out. 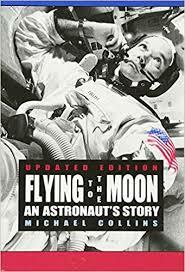 Or if it failed to burn for at least seven minutes, then the two astronauts would either crash back on to the Moon or be stranded in low orbit around it, beyond the reach of Collins in his mothership, Columbia. " 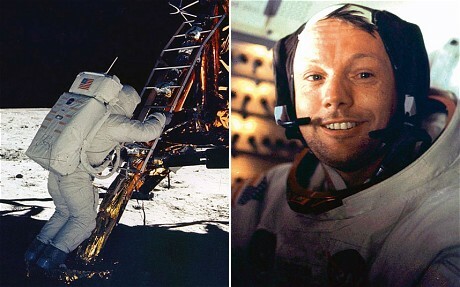 "﻿In a little while after our scheduled meal period, Neil would give the signal to step down the ladder onto the powdery surface of the moon. Now was the moment for communion. 'Houston, this is Eagle. This is the LM Pilot speaking. I would like to request a few moments of silence. ... For me this meant taking communion. In the radio blackout I opened the little plastic packages which contained bread and wine. 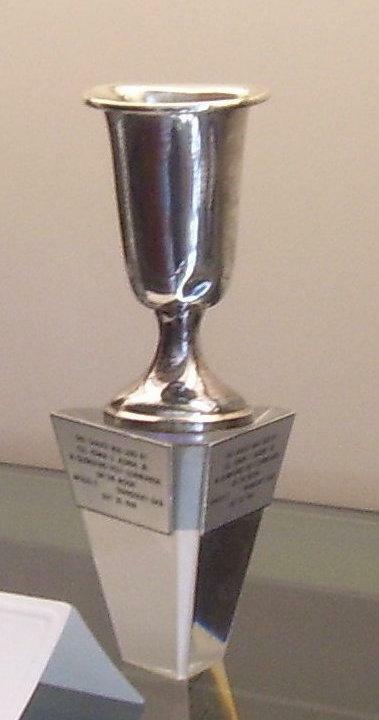 I poured the wine into the chalice our church had given me. In the one-sixth gravity of the moon the wine curled slowly and gracefully up the side of the cup. ... I sensed especially strongly my unity with our church back home, and with the Church everywhere. I read: 'I am the vine, you are the branches. Whoever remains in me, and I in him, will bear much fruit; for you can do nothing without me.'" 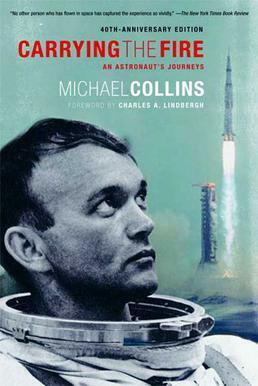 While Buzz Aldrin and Neil Armstrong were on the Moon, Mike Collins orbited behind the Moon, becoming the most distant solo human traveler, completely out of radio contact from Earth, nearly a quarter of a million miles away. 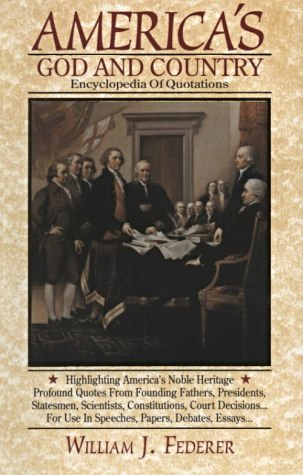 “This venture has been structured for three men, and I consider my third to be as necessary as either of the other two. I don’t mean to deny a feeling of solitude. It is there, reinforced by the fact that radio contact with the Earth abruptly cuts off at the instant I disappear behind the moon, I am alone now, truly alone, and absolutely isolated from any known life. I am it. Personally, in reflecting on the events of the past several days, a verse from Psalms comes to mind. 'When I consider the heavens, the work of Thy fingers, the Moon and the stars, which Thou hast ordained; What is man that Thou art mindful of him?'" 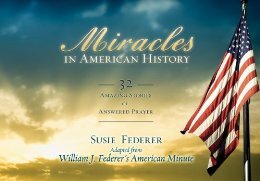 "To all the other people that are listening and watching tonight, God bless you. 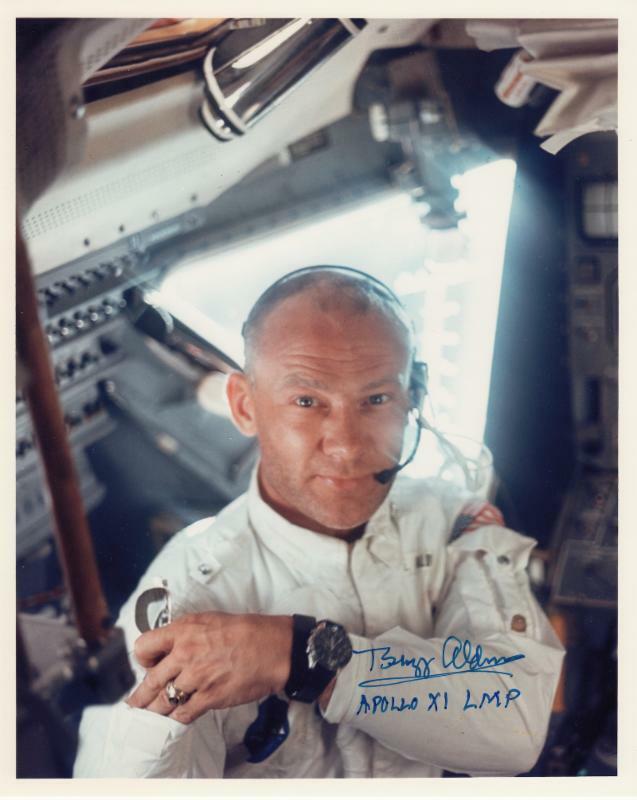 Good night from Apollo 11." 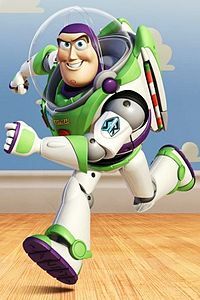 Buzz Aldrin's popularity was the inspiration for the character "Buzz Lightyear" in Pixar's animated movie Toy Story (1995). 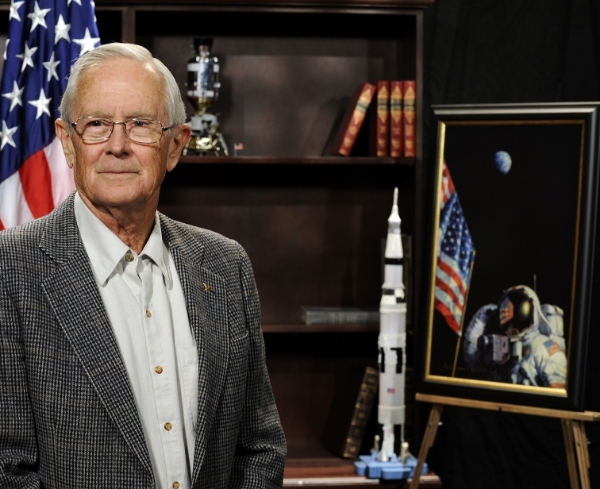 At Mission Control in Houston, Charles Duke had been NASA's CAPCOM (Capsule Communicator) during the Apollo 11 moon landing. "Roger, Twank ... Tranquility, we copy you on the ground. You got a bunch of guys about to turn blue. We're breathing again. Thanks a lot!" 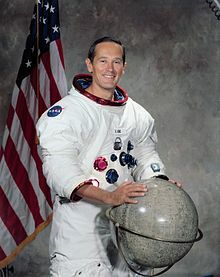 Charles Duke later flew to the moon on the Apollo 16 mission. 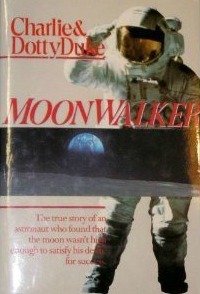 On April 21, 1972, Astronauts Charles Duke and John Young explored the moon's rugged Descartes region. 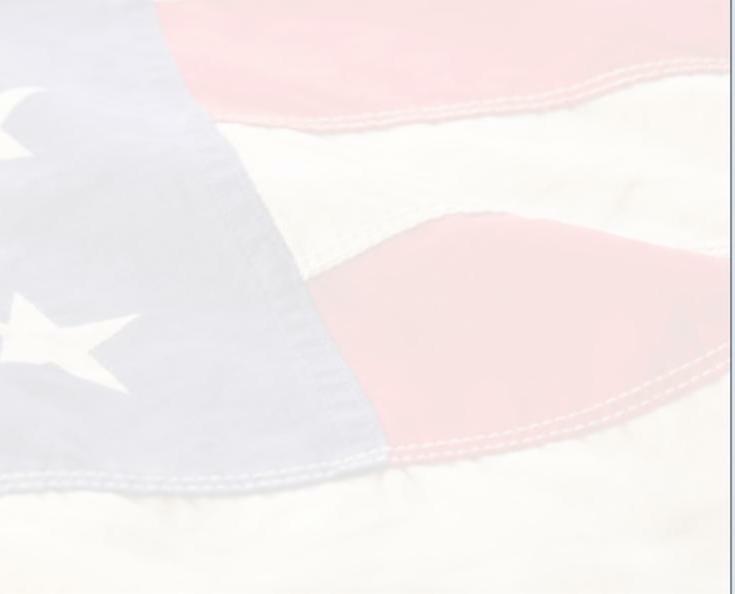 Years later, Charles Duke spoke at a Prayer Rally during the Texas State's Republican Convention in San Antonio's Lila Cockrell Theatre, June 22, 1996. One of the most touching times was in the office of one of the cabinet ministers in Israel ... After the introduction I was asked to share my walk on the moon with the Israeli minister. 'Mr. 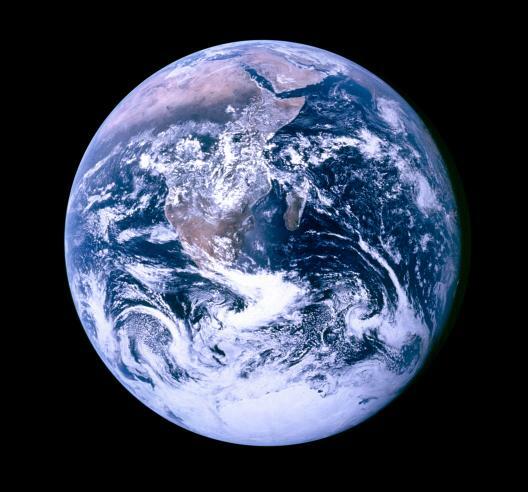 Minister,' I began, 'I was able to look back at the earth from the moon and hold up my hand and underneath this hand was the earth. The thought occurred to me that underneath my hand were four billion people. I couldn't see Europe, America, the Middle East. 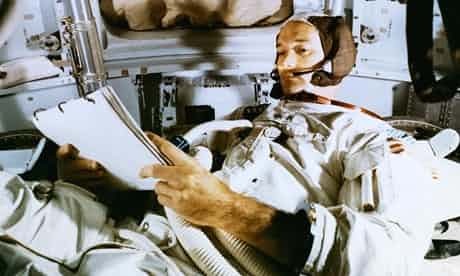 The promises of the Bible are true and, I believe, speak the truth in every area -- whether it be in spiritual matters, nutrition, history, or even science ..."
"In 1972 aboard Apollo 16, I saw with my own eyes what is written in the Scriptures. This is the Lord I love and serve. This is the Lord who transformed by life. This is the Lord who transformed my marriage. ... 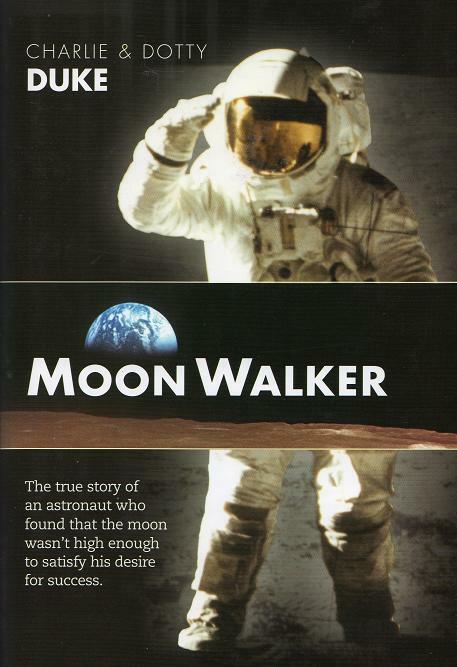 I used to say I could live ten thousand years and never have an experience as thrilling as walking on the moon. But the excitement and satisfaction of that walk doesn't begin to compare with my walk with Jesus, a walk that lasts forever. 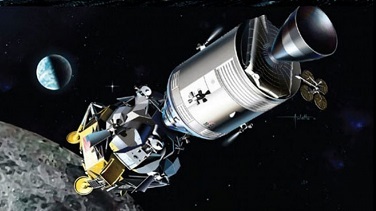 I thought Apollo 16 would be my crowning glory, but the crown that Jesus gives will not tarnish or fade away. His crown will last throughout all eternity ..."
"Not everyone has the opportunity to walk on the moon, but everybody has the opportunity to walk with the Son. It costs billions of dollars to send someone to the moon, but walking with Jesus is free, the Gift of God. You don't need to go to the moon to find God. I didn't find God in space - I found him in the front seat of my car on Highway 46 in New Braunfels, Texas, when I opened my heart to Jesus. And my life hasn't been the same since. Now I can truly look up at the moon and the stars and with the prophets of old exclaim, 'The heavens declare the glory of God, and the firmament showeth His handiwork.'"